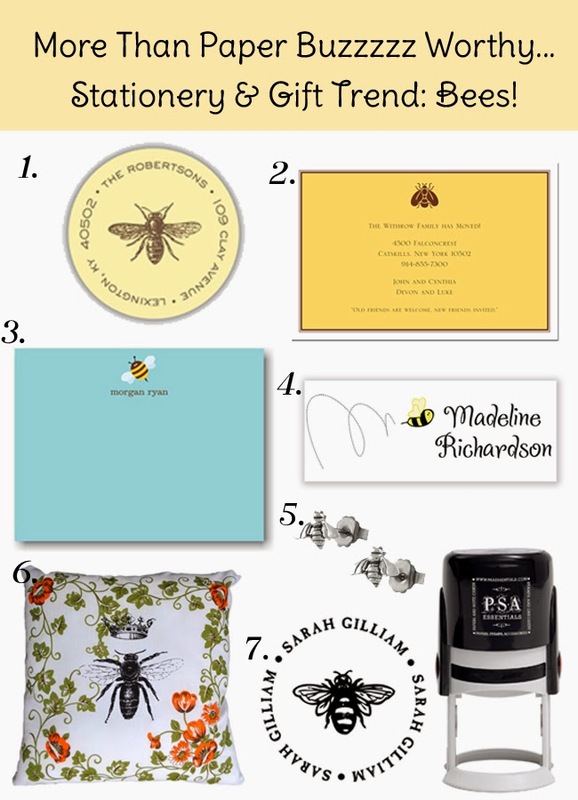 Maybe it's because they make sweet honey, maybe it's the threat of a sting, but bee motifs seem to be popping up everywhere in our stationery and gift industry. At More Than Paper, we think this trend is buzz worthy! We love the sunny yellow color paper these little insects seem to be appearing on all over, too. Each designer seems to have a different take on the bee -- from vintage artwork to cutesy characters, there is a bee for every style! Find these great products at More Than Paper and around the web below. And let us know what you think of this trend... is it "buzz-worthy?" We'd love to hear your thoughts!